As a Christian, I have faced times where I often wondered if anyone cared. Where I felt so alone and wish that someone would reach out to ask me how I am doing. I have always had to be the “strong” one even in times where I was falling apart or my life seemed to be falling apart. Time of loss and heartache where I never felt I would see the sun ever shine in my life again. When I lost my grandparents to murder/suicide, I really never felt I would ever be the same. Loss so indescribable, yet it was my life. Comfort was no where to be found because each family member was facing the same pain and loss. Then, I had others within our small town that just had no idea of how to help or what to say to COMFORT. So, I was all alone or felt that way at least. Trying to be strong, but often falling apart at the seams. Wishing my life would end as well. So much pain, yet I had no clue as how to overcome the deep loss and emotional pain I was facing, and all of my family was facing. We were all barely hanging on. Why is it that in such desperate times, the church community is often some that causes the deepest wounds? I would love to have had someone reach out their hand and offer to listen or even to give me a hug. Offer a hot meal. Offer to pay for counseling for my children or myself. Offer to spend the evening with me while my husband worked overnight at the police department. Offer to not speak words that would hurt, but that was often the norm. I had one really “well-known” Christian man from my church tell me the day my grandparents died, that I needed to “quit crying and screaming because I wasn’t acting like a very good Christian.” Then another said that ” maybe this is a conclusion to an already bad relationship”. How do we tell ourselves that as a Christian that somehow gives us the right to hurt another person struggling or needing a friend? I can think of many instances where I have seen the ugliness from the church, when I initially went to the church for comfort. Certainly not what I found. and when we act as such, we fail in our efforts to portray HIM in a positive light as well. Our lives are to be a witness to the power of the LORD in our lives, yet when we act unbecoming we demean all HE has done for us and our lives. I have faced ridicule for having anxiety, fear and agoraphobia as well. My son has been gossiped about supposedly being gay. (doesn’t matter either way because he is my son) but is it the right place for this to happen. This same son no longer goes to church because of the pain inflicted. As a Christian, when we lash out, we hurt. When we speak evil about someone, we hurt. When we choose to ignore, we hurt. We hurt others but we also hurt our Lord. We hurt ourselves as well. Why do we want to act so foolishly in the Lord’s eyes and the eyes of others? Today, I really want to offer a word about being so petty and malicious. God expects better from us but we should expect more from ourselves as well. 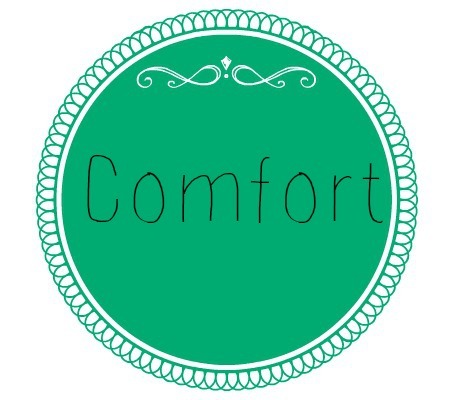 Comfort comes from the LORD and for that I am thankful. He loves me and wants the best for me. Lord, I come to you to ask you to soften our hearts to the pain we often inflict on others; whether intentional or unintentional. You want us to love others and offer a helping hand to others.